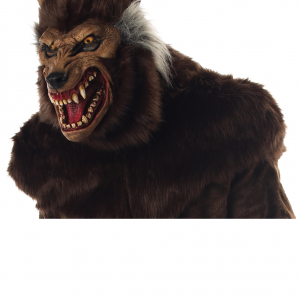 Black grawling wolf mask with vicious looking fangs! 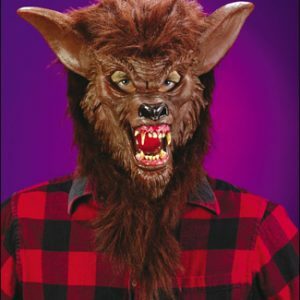 Full over the head latex wolf mask with rotting accents and hair attached. Hand painted for the most realistic look possible.